Brand New Quintrex 570 Fishabout model - Just arrived into stock. This new model offers serious deck space for fishing and is rated to a whopping 150HP. 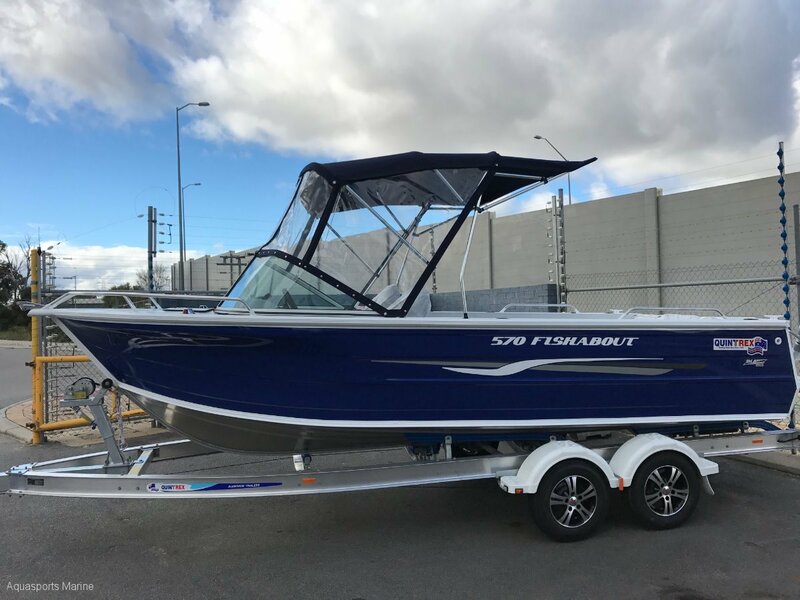 The Fishabouts can be optioned up to suit your needs from a large range of factory extras such as stereo and speakers, bimini, extra rod holder, ski hooks and much more.